Saab Law Group understands that different people fit into different categories of visas. This is why we constantly monitor Australia’s ever changing area of immigration law, policies and procedures which are highly complex. We also understand that your immigration matter can be a stressful and emotional process and endeavour to make your journey as smooth as possible. We are committed to provide our clients with the most comprehensive and recent advice to provide practical solutions in a timely manner to achieve your goals. As a registered migration agent, Saab Law Group provides immigration services to all nationalities around the world and can assist in a large number of immigration law areas. 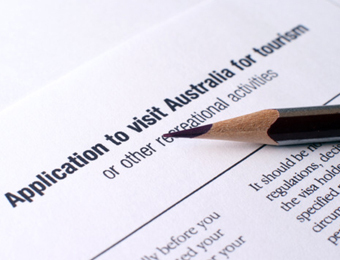 These include assisting in visa applications from beginning to end. These visas include amongst many: Student, Business, Temporary, Work, Partner, Sponsored, Relative, Protection and Humanitarian. Furthermore, we can assist in health and character problems and merits review at the Tribunals. We also provide assistance in preparing responses and appeals to these relevant Tribunals, which would be through the Administrative Appeals Tribunal’s (AAT) Migration and Refugee Division (MRD) which include the Migration Review Tribunal (MRT) and the Refugee Review Tribunal (RRT), if your visa application is refused. Saab Law Group will go above and beyond for you and can apply for Ministerial Intervention if you wish to do so. This means putting forward your case to the Minister of Immigration, where the Minister once assessing your case can choose to intervene if his powers allow in a decision made by the Tribunals regarding your immigration matter. Should you need any advice in your immigration matter, call Saab Law Group today for legal solutions tailored to your individual needs.